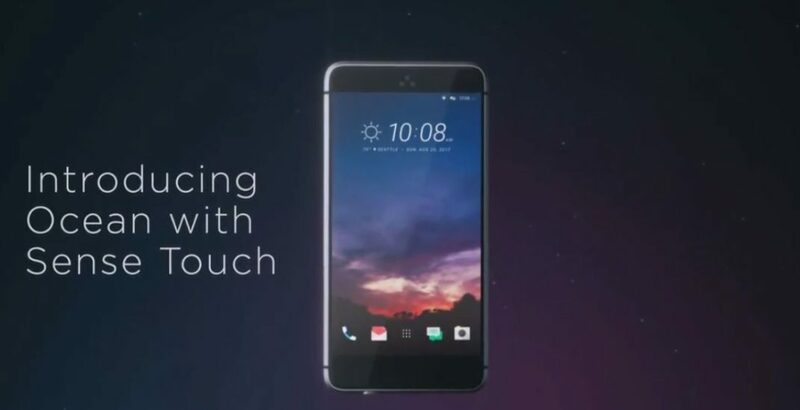 A new leaked video of HTC Ocean concept phone surfaced online. Evan Blass(@evleaks) re-uploaded the video on HTC Ocean on Twitter before the original source was taken down. The video showing off a new smartphone that has no physical buttons, but rather uses touch sensors to inputting with gestures that translate to functions. You can change volume, accessing Google’s voice search, or press camera shutter key without any physical button. The video calls this technology “Sense Touch”. We have to see if company release such phone in future or not.